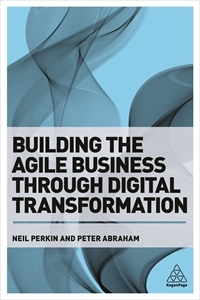 My book, Building the Agile Business is now out. It's the result of six years of writing and consultancy on organisational agility, and sets out the how (not just the why) of digital transformation. We believe that a new type of company is required for the digitally-empowered world in which we all live, founded on some foundational principles which (much as the agile manifesto did all those years ago for software development) set out a new operating model for the company of the future. We've called those principles the Agile Business Manifesto. We've created an email list which we'll be using to give access to exclusive content, occasional updates and relevant thinking related to the book (no spamming - it will likely be a monthly update). You can sign up for that here.